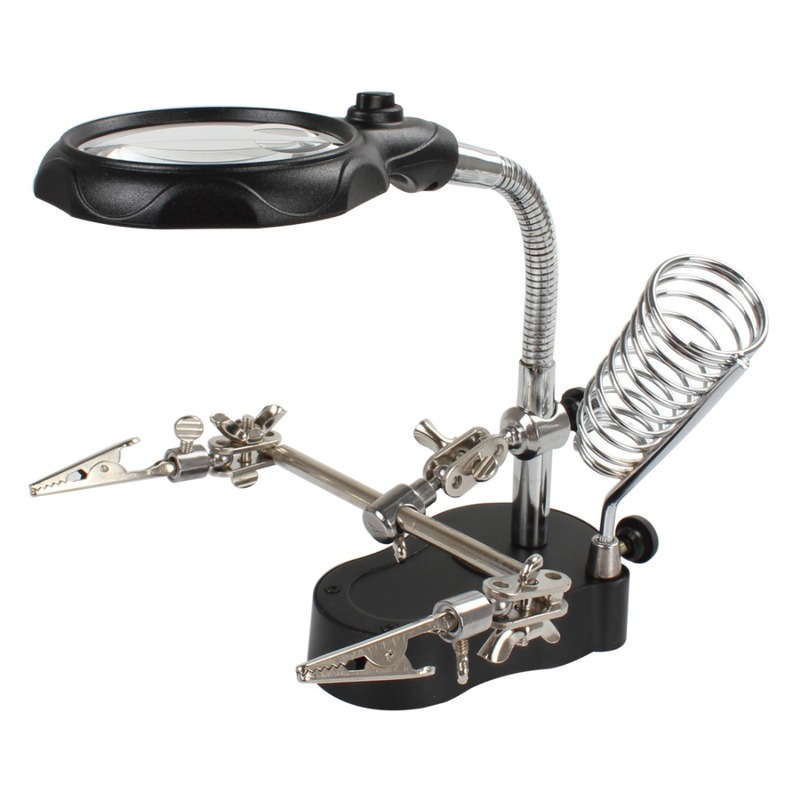 – It can aid for soldering work or making model . – The goods has adjustable crocodile holding clamps. – Bottom battery compartment is furnished with steel plate which can enhance stability. – With two LED lighting,this model can work very well in the dark environment. – With three pcs of AAA batteries (the battery is not included the package),large capacity,this model can continuously discharge more than 10 hours,expediently be used. – Please take care when using, and keep away from children. – Please wear protective goggle in work area at all times. – Select correct type and size of Len for work.